If you are looking for a new style, one that will turn heads then look no further than the rose gold hue. It’s striking and gorgeous and one that will have everyone complimenting you. It’s is one of the most popular trends going on right now so you may want to jump on the band wagon. 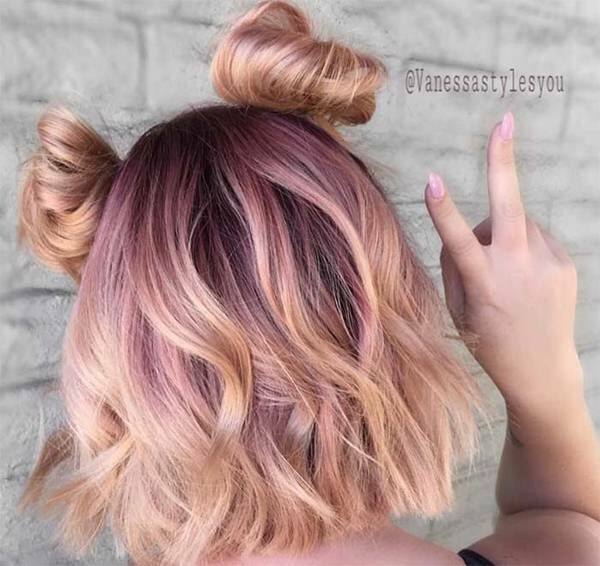 If you are a fan of the rose gold jewelry, then you will understand why people are obsessed with this hair color. There are many different shades involved so the sky is the limit on what you can achieve with this hue. If you don’t already have blonde hair however you will have to bleach your hair first to achieve this color. This is also not the kind of color you want to try on your own. It’s always best to go to a professional salon when it comes to colors that require bleaching. 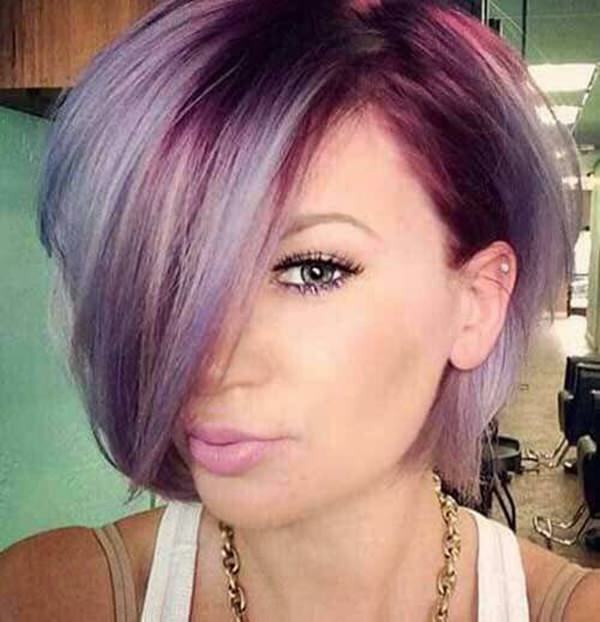 Be bold and try a new color on for size, we promise you won’t regret a shade so beautiful. We have many different options for you to try from. A great style that is pulled up tight into an updo. This is a great look for the office and the color is beautiful. If you want a bright shade then this is the one for you. It will be a color that really stands out. How can you not love this color? A stunning color that is a lighter shade. It always looks good with long flowing lengths. Long hair always helps a color to really stand out. It starts off dark and comes down light. It’s a gorgeous shade that you are sure to love. 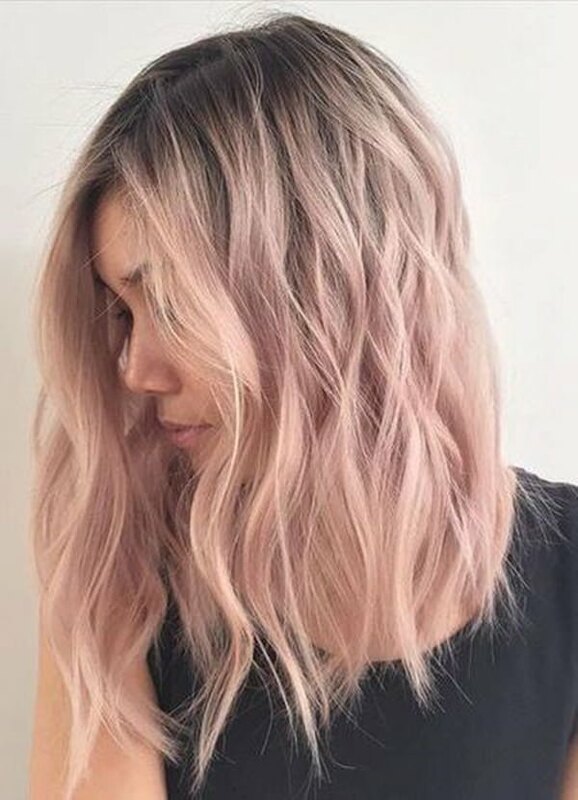 There is just a hint of a rose gold hue to this hair color. It’s a naturally blonde style with the hue added. 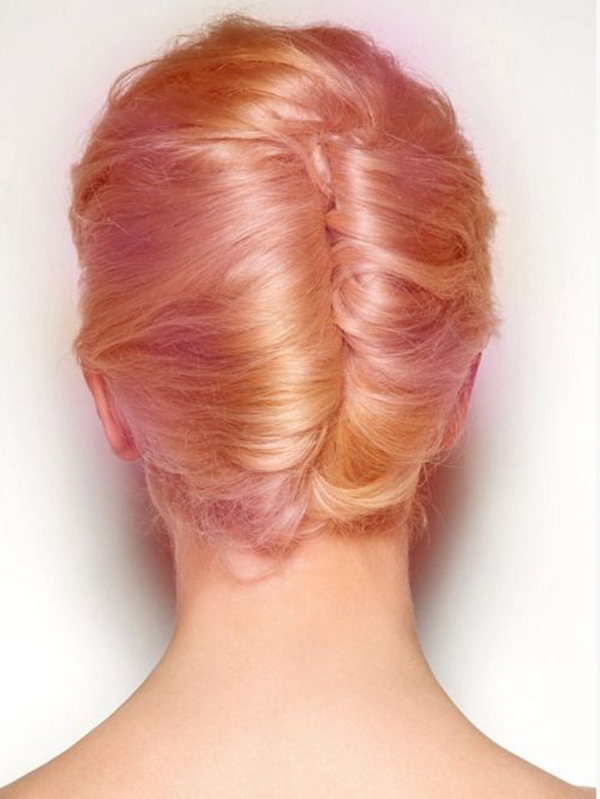 You would not need to bleach your hair for this style. If you are looking for a subtle style then this is the one for you. It’s absolutely stunning. A great style with a lot of edge. Another natural shade with the rose gold added to it. It’s a great example of a natural shade that you can manipulate to create a whole new look. It’s a gorgeous color. If you want to try something new then why not a color close to your shade. We get to see the combination of rose gold with purple here and it’s gorgeous. If you want to feel like a rock star then this is the color for you. We love these rock star shades because this is a remarkable color. We absolutely love the shade. 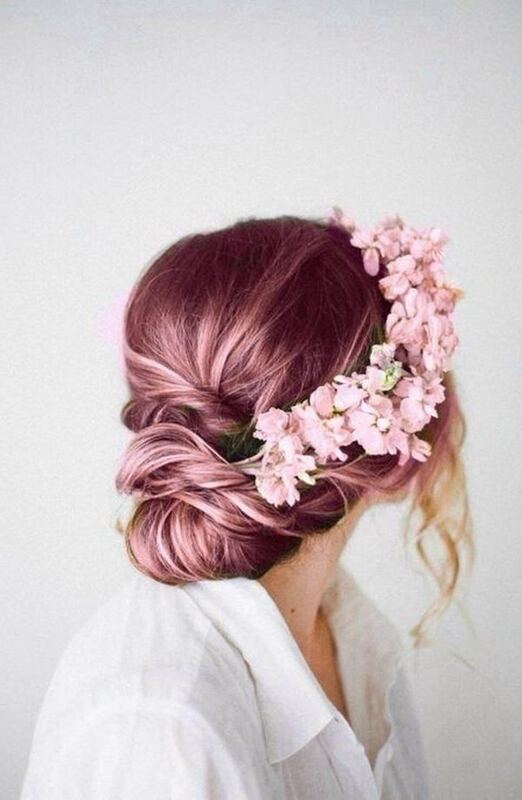 Purple and rose gold look wonderful together. 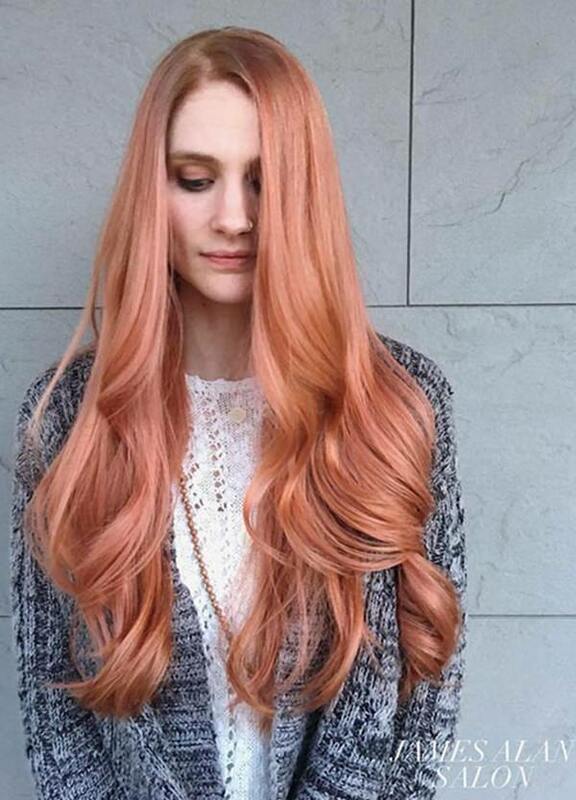 Redheads always have a love for rose gold because it suits their color scheme. 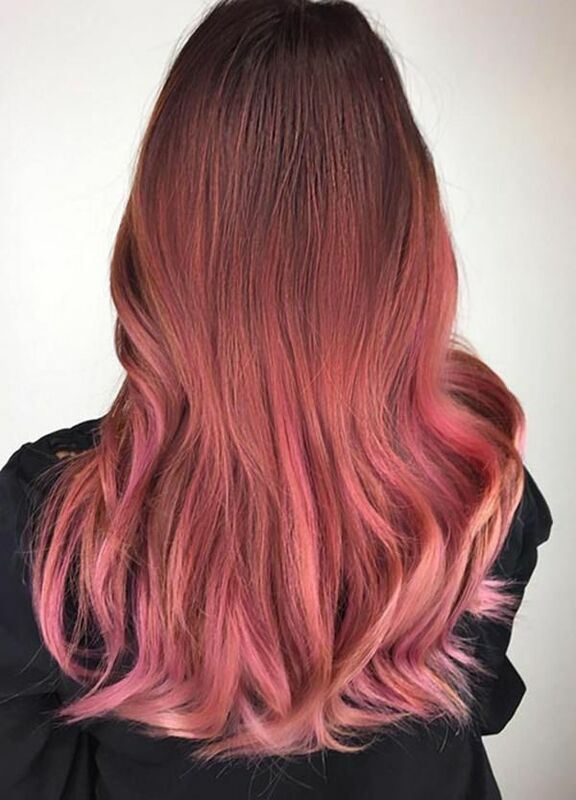 The rose gold looks great mixed in with the red. 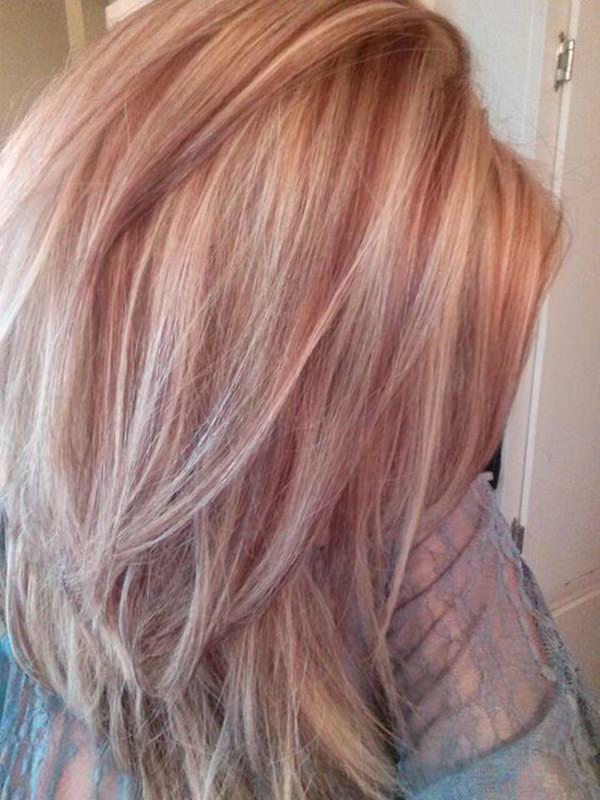 It’s a great way to add highlights to an existing color. We love the red, it looks wonderful with her pale skin. 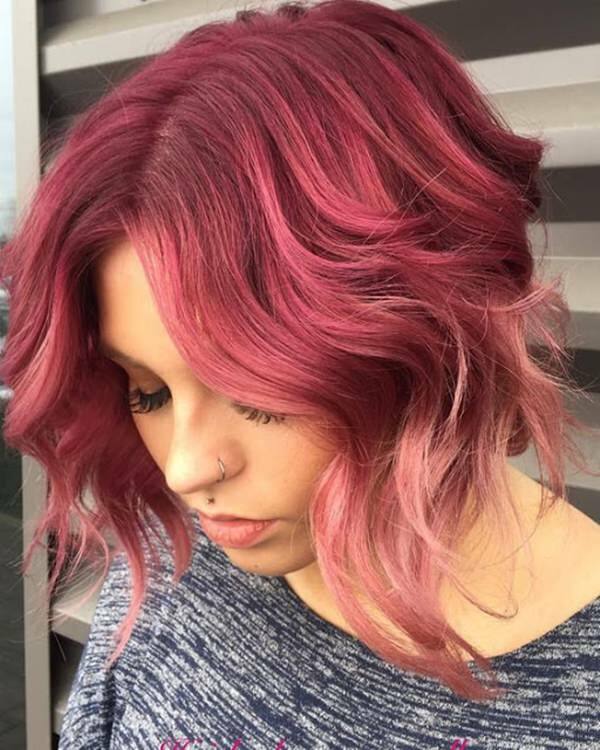 This bob looks rockin’ with this amazing rose gold shade. The roots are left dark which gives it an edgier style. A stunning shade that goes from bright to light and we love it all. if you want a shade that is sure to turn heads then this is the one for you. Gorgeous color and a little badass nature too. 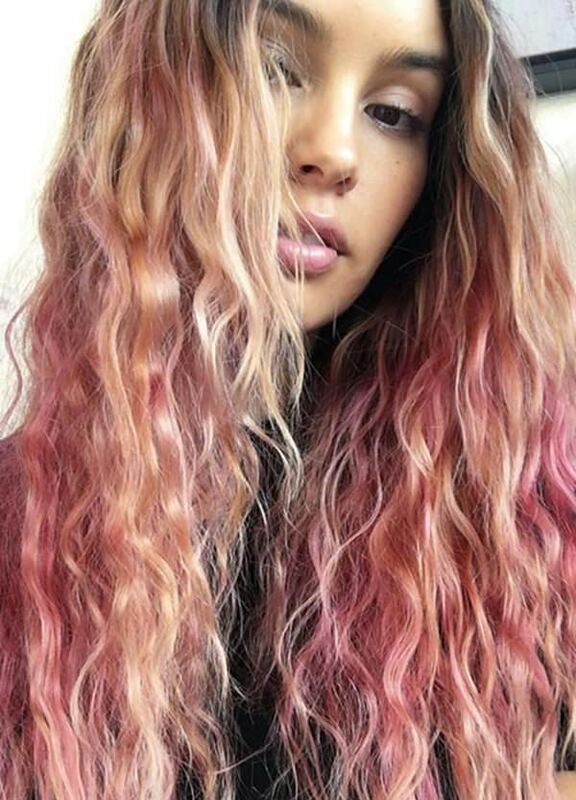 With this look, we have the natural on top and it fades into a rose gold hairstyle. We can’t get enough of this beautiful color. The light rose color shade is so stunning especially if you like low key color. It’s not too flashy and it will still give you a nice change. 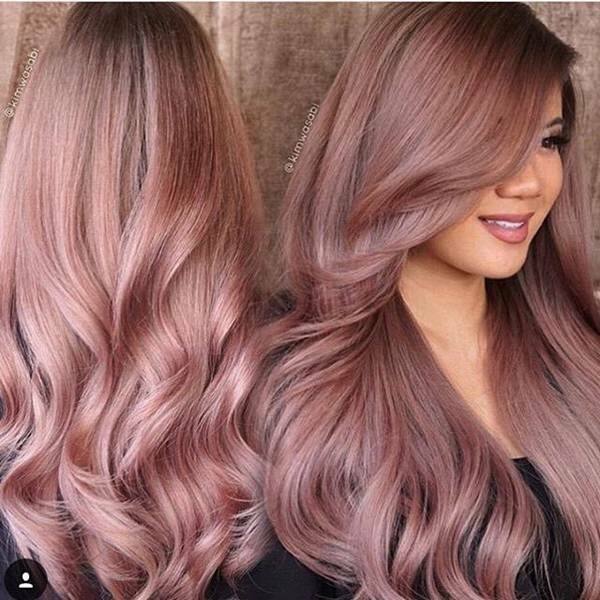 A great style with very thick hair, she has lots of rose gold love here. The style alone is very remarkable and there is a lot of hair here to dye. 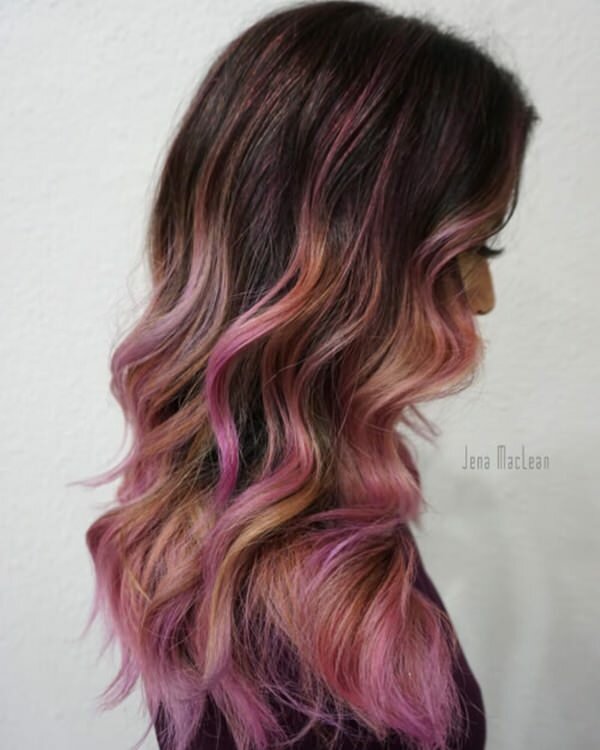 A great style that has a darker shade of rose gold in it This is a great look that can be used all year long. 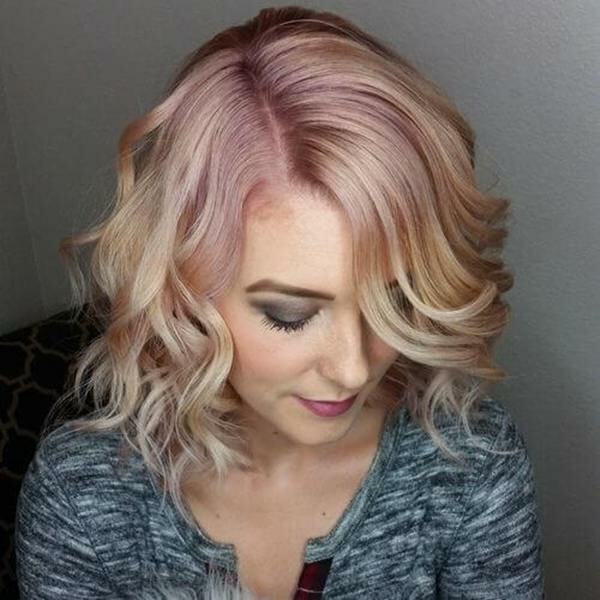 A great blonde look with a hint of rose gold. It’s a gorgeous color and here the roots aren’t touched here. The bright rose gold hue is truly remarkable. 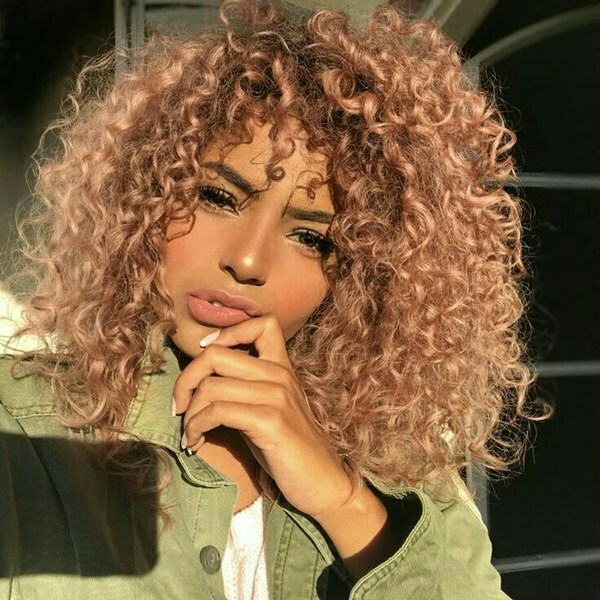 These curls are stunning with a bright color. 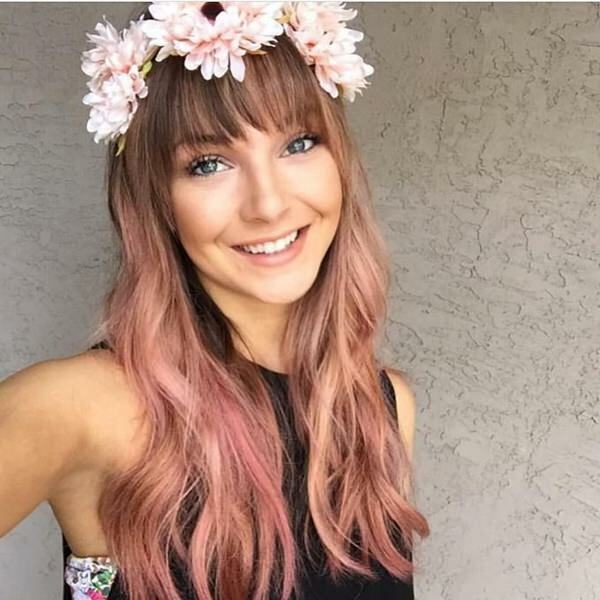 This gorgeous girl loves changing up her style frequently and in this case, she has a gorgeous rose gold hue. It’s stunning. 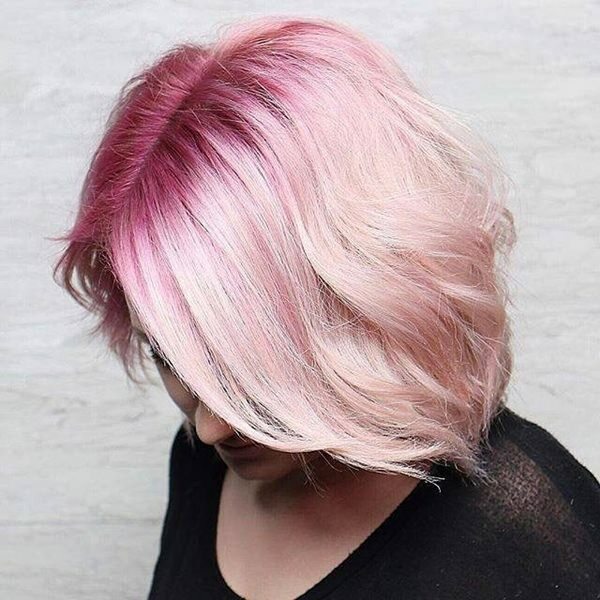 This bright shade is remarkable and we love how it just lightens up at the ends. If you love a color that is bright then you are sure to love this style. A great style that is very natural. 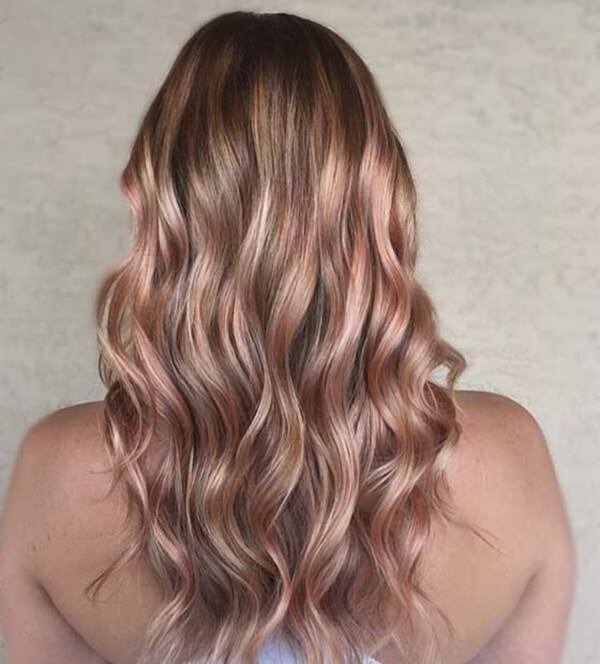 We just love the rose gold shade that brightens this whole style brightening up. If you want to keep things natural then this is a great way of doing it. This model is taking pink to a whole new level. 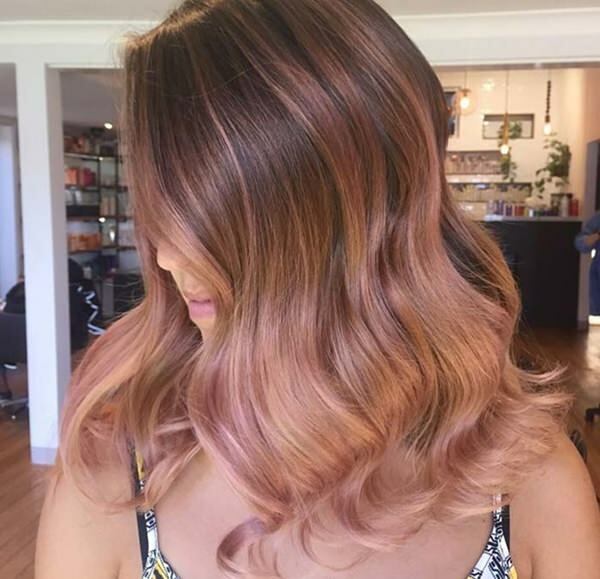 A great rose gold shade that you are sure to love. Her long lengths really help the look stand out. A great style that is sweet because there are just splashes of pink. If you want a simple style then you are sure to love it. 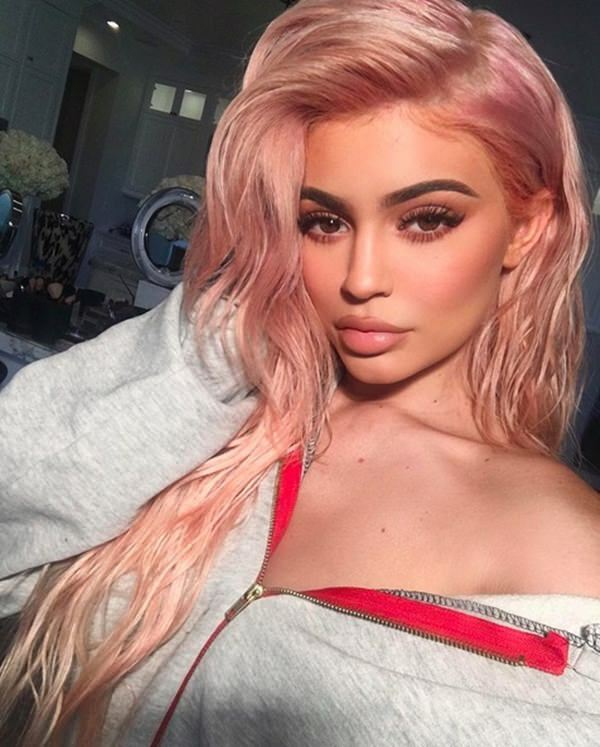 Blonde always looks better with a splash of pink. It’s a great way of brightening up a blonde and showing off a badass edge. These gorgeous locks are full of shine. 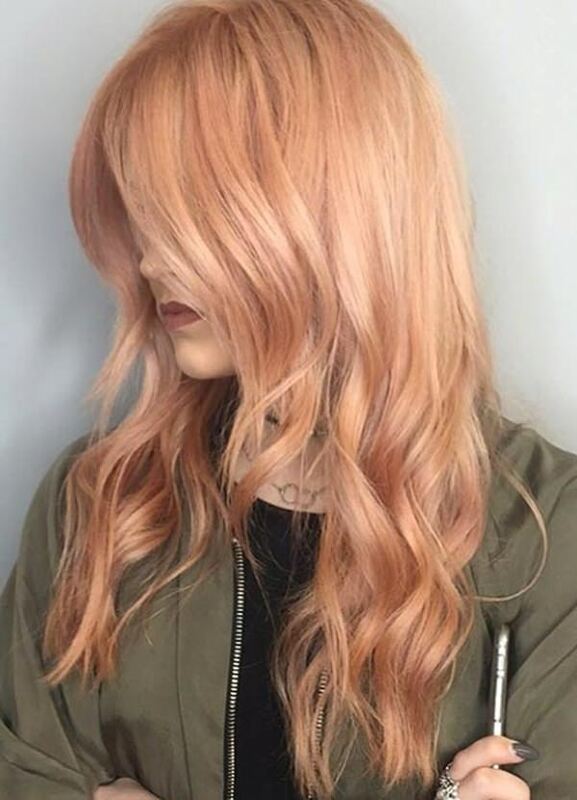 It’s another great example of how a rose gold shade can allow you to still keep a natural style. This color is gorgeous. A gorgeous shade that is in the medium range of shades. It’s a great color for those that don’t want to go too light. If your natural color is darker than this might be the perfect shade for you. 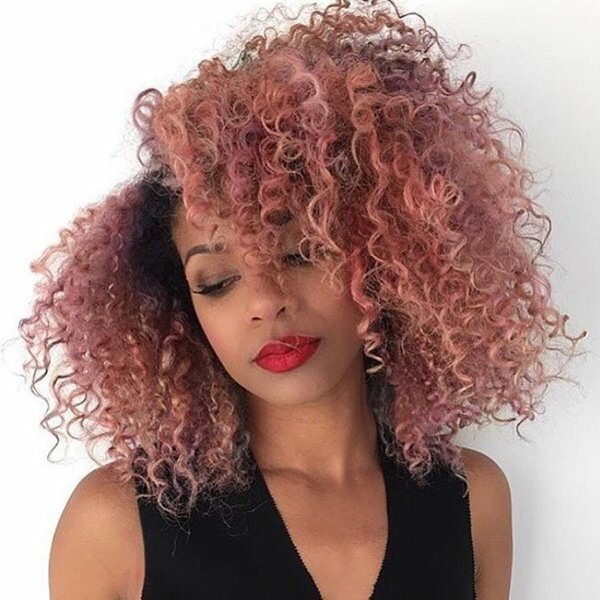 A stunning style that is full of tight curls. These gorgeous colors are truly remarkable. 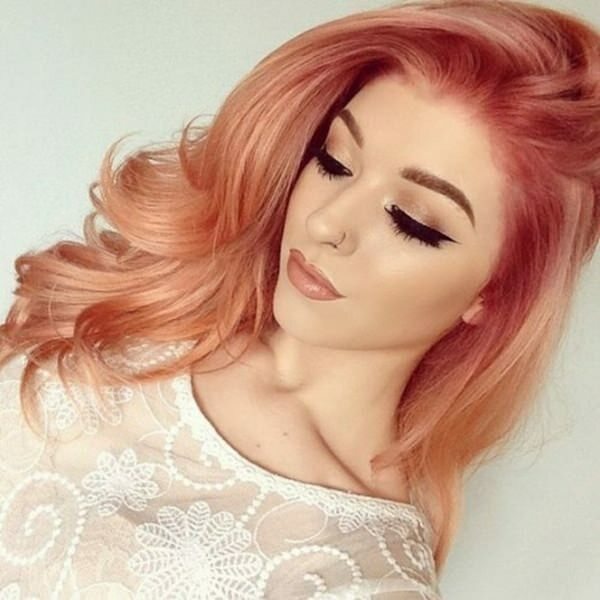 We love this gorgeous rose gold shade because it really suits her. 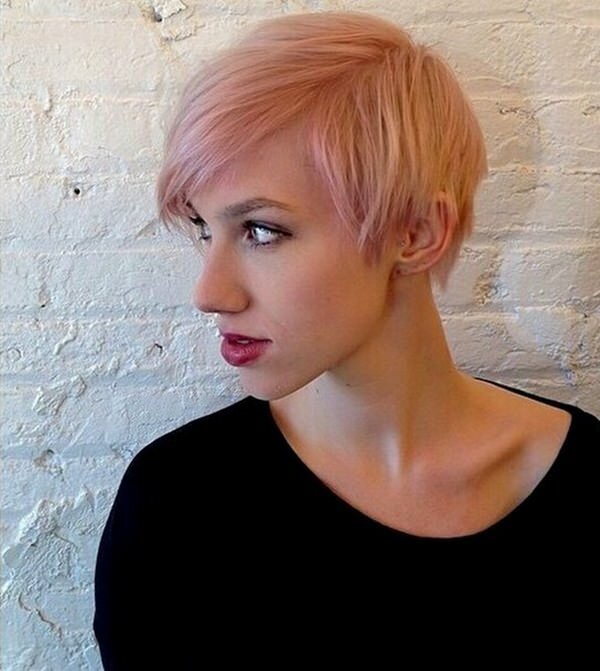 This short style is stunning not only because of the cut but because of the very light shade of rose gold. This is a great style if you have white blonde hair because it suits that style. If you want a subtle change then this is the color for you. 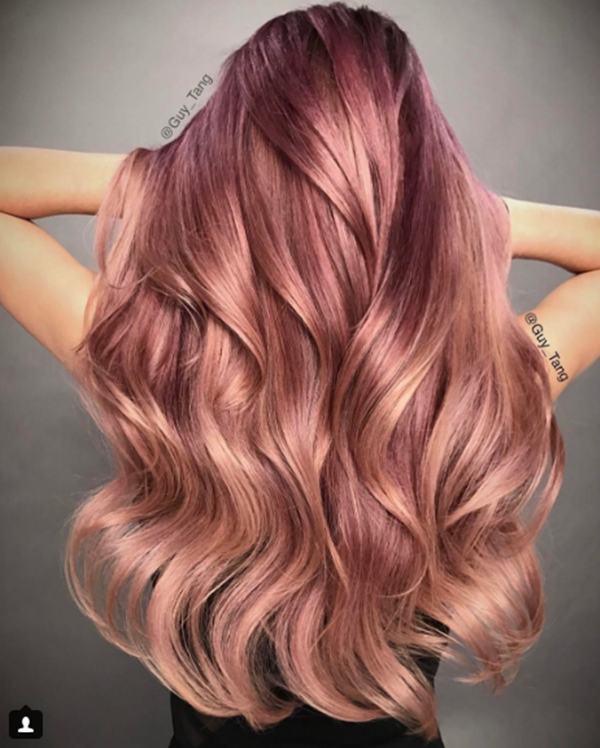 These long lengths are remarkable and the color is just a hint of the rose gold. A gorgeous style with long flowing curls. We love the light rose gold hue because it’s bright and beautiful. A great style that is stunning and very natural. 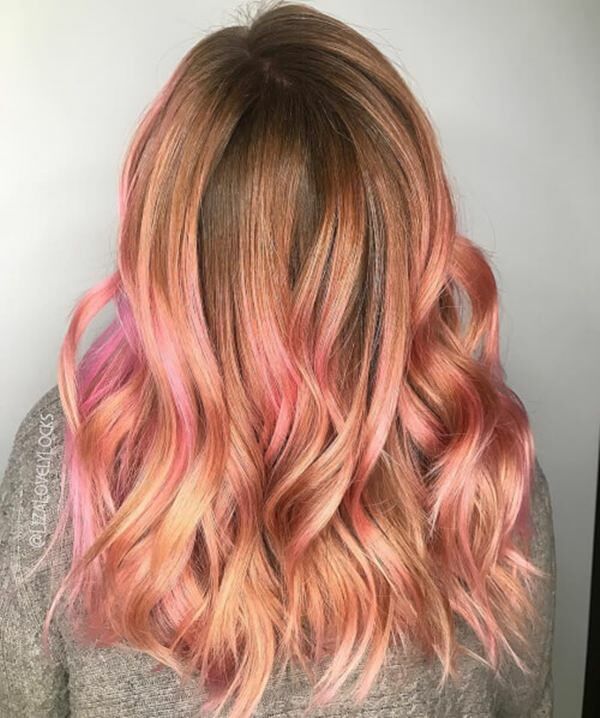 A style that is so natural with just a few highlights of the rose gold. 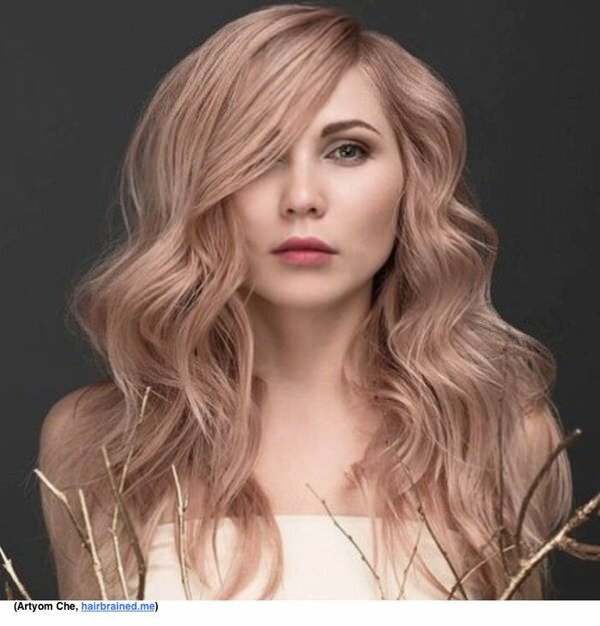 If you have long hair then you are sure to love this gorgeous hue. We love these long layers. It’s a stunning bright shade that you are sure to love. You won’t find a more stunning shade than this one. We absolutely love the color. There are more that one beautiful set of highlights in this style. You can keep your natural hue and just spice it up a bit. The rose gold really brings some life to the whole lot of colors and you are sure to love it all around. From dark to light this coloring is truly one of a kind. There are so many variations to the shade that you will fall in love every time you look in the mirror. If you are looking for a bold new look then this is the one for you. We love how the hair goes from dark to light. The coloring at the end is beautiful If you don’t want to do a full color then this is a great alternative. A great design that has some remarkable colors to it. 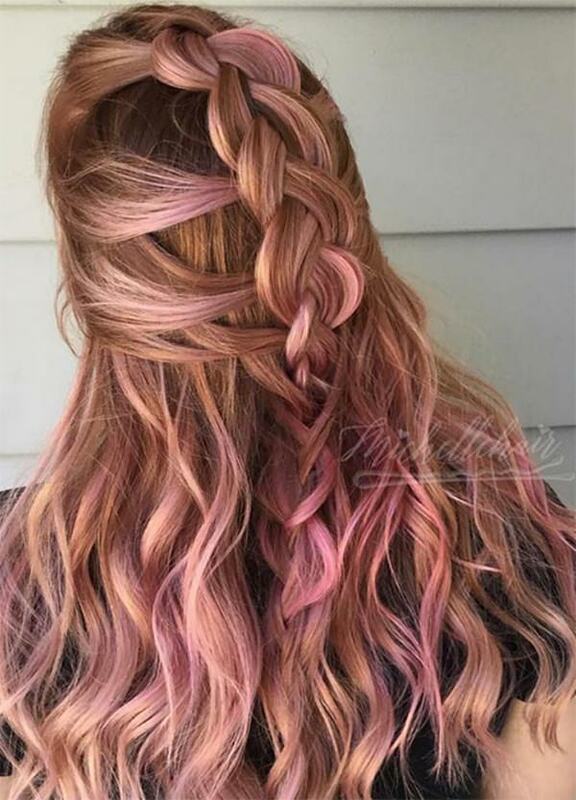 We just love how you can braid the colors in to create a whole new look. The rose gold in this picture is quite light so it will really stand out. There are also many different shades of the pink here as well. Gorgeous color. 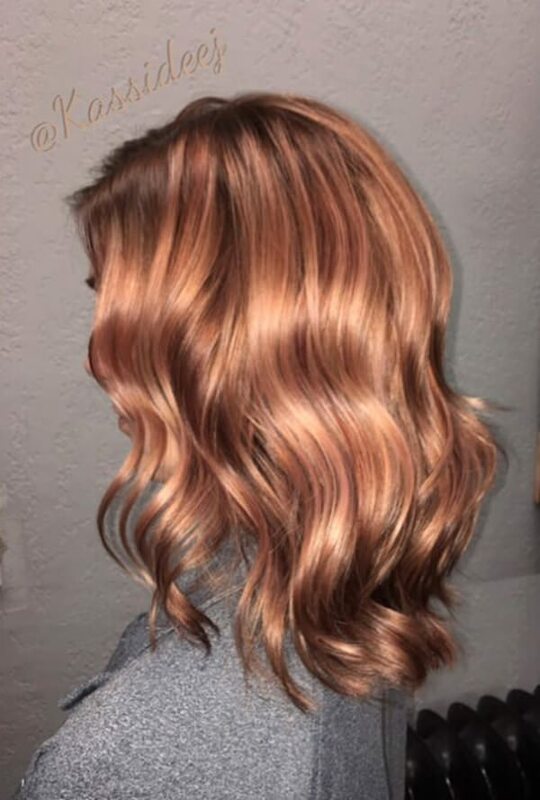 Another great example of the rose gold shade but in a few different highlights. You can pull it up just like in this picture and it will show the colors as if they are splashes around. We love the striking difference between the rose gold and the brown here. This rose gold goes more to the golden side then the rose but it’s still a beautiful color. The great thing about adding color to your hair is that you end up with some striking shine. A great color that is very natural. As you can see the bottom is lighter and that’s where you can see the rose gold. This gorgeous shade goes from quite dark to very bright. There are many different shades here that we can’t get enough of. The colors here are very beautiful and you will love them! A great color with a mixture of shades. If you just want a subtle change then this is the color for you. We love all the pink. It looks great as a long hairstyle. These are some remarkable colors. A great style that is truly stunning. The color is very light and would require a lot of bleaching. If you already have light blonde hair then this is the perfect shade for you and won’t require a lot of work. 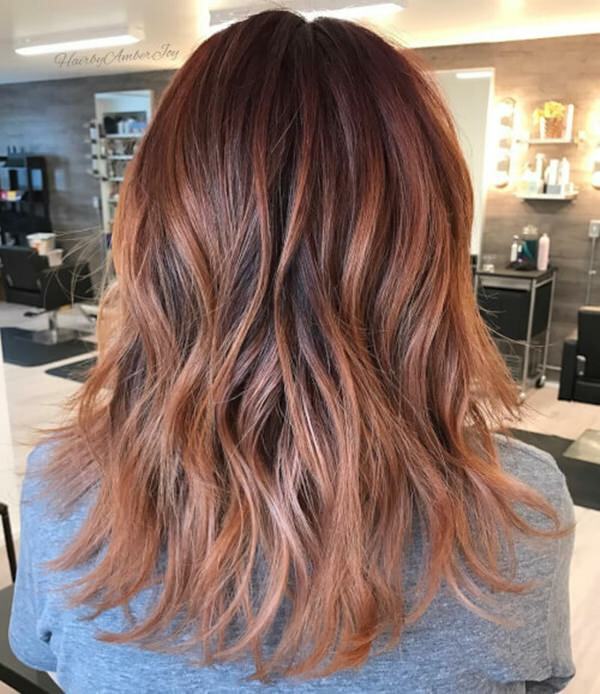 Another example of a darker shade that goes beautifully with the rose gold. If you love these stunning shades then this might be exactly what you are looking for. 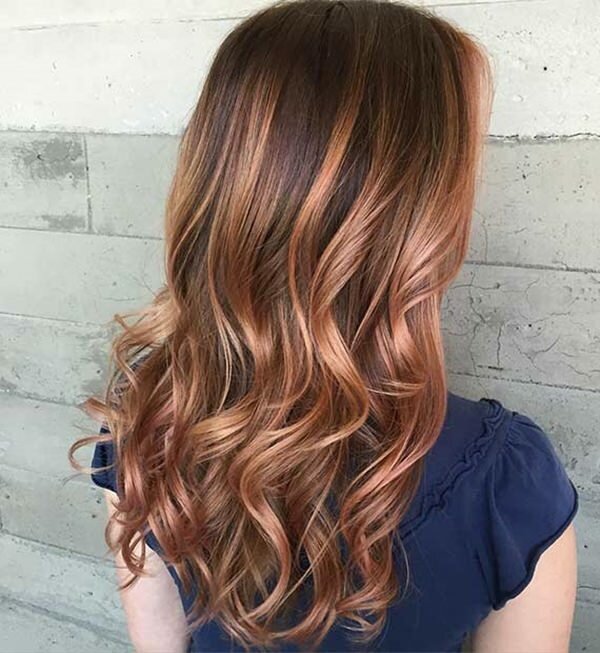 This stunning rose gold shade is truly gorgeous because it is bright and shiny. A long style that full of bright colors. 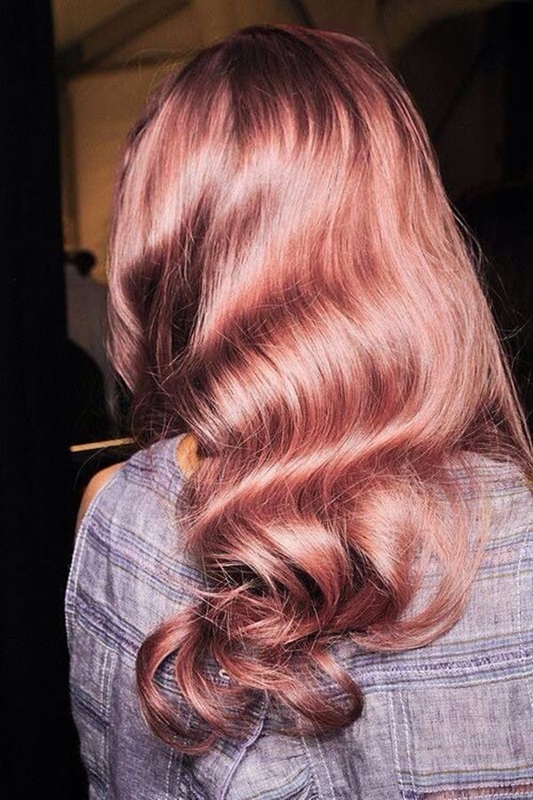 We just can’t get over this stunning rose gold shade. 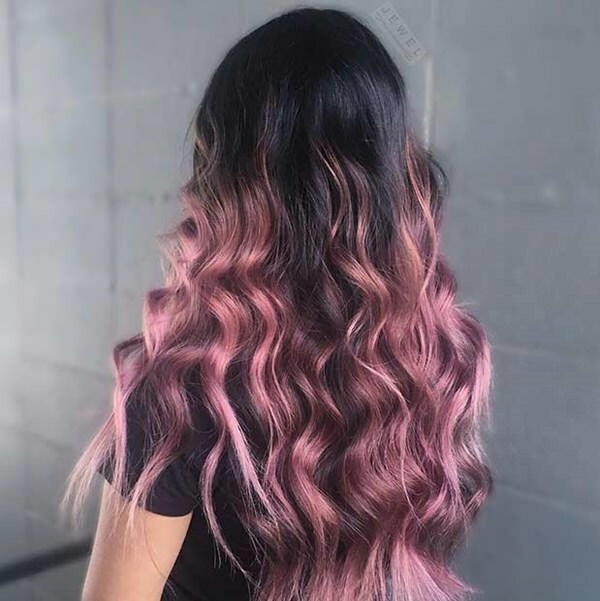 A style that has the roots colored instead of the ends. The blonde shade is truly wonderful and perfect for this kind of style. The pink in that location is subtle but powerful. A great style that is truly beautiful. We just love the bold color that starts off very dark and bright but then ends with the simple highlights. 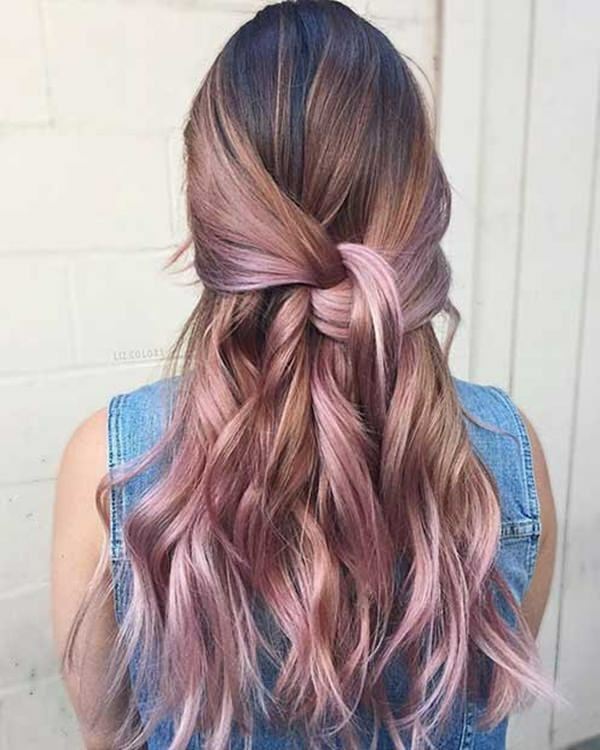 The rose gold highlights are truly beautiful and they go so well together. How can you not love this subtle shade? 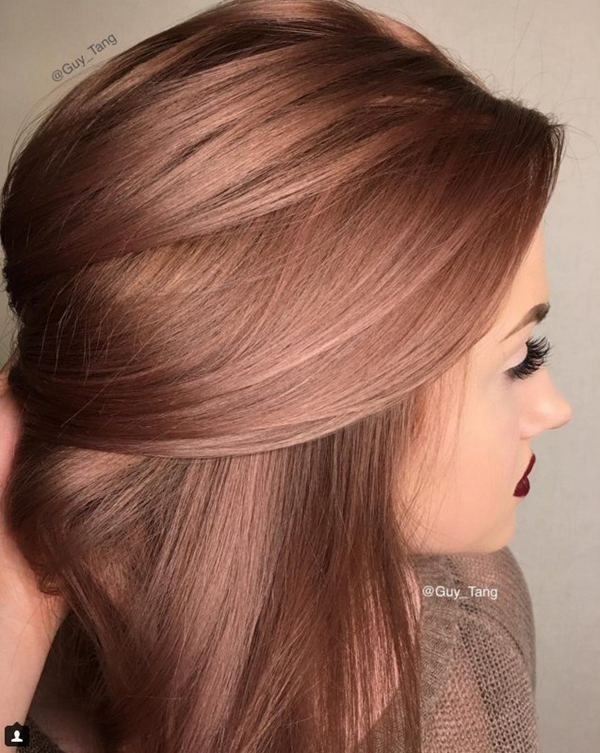 It’s a gorgeous example of a rose gold shade that isn’t too dramatic. 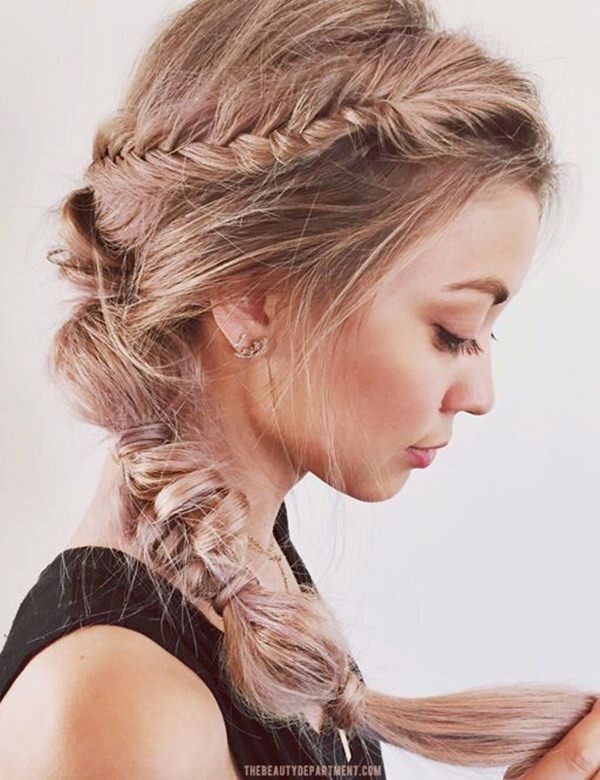 How stunning is this style? 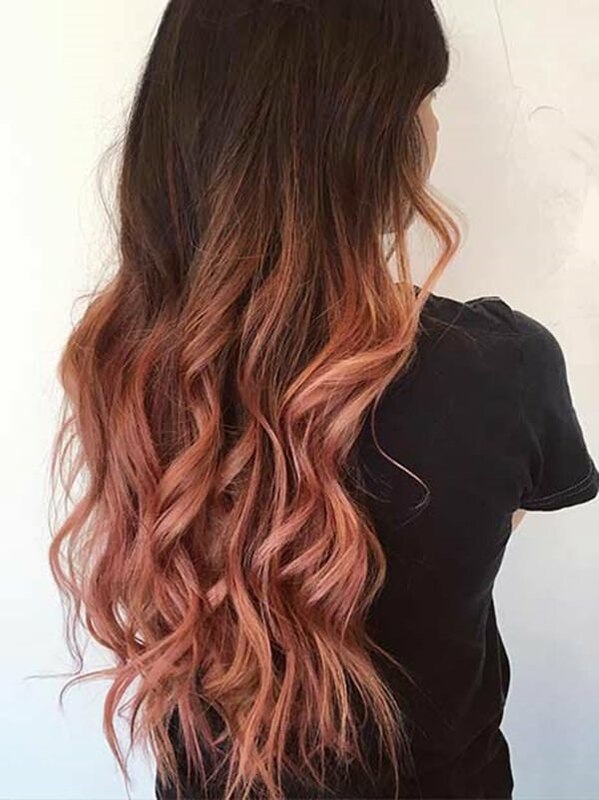 There are so many different shades of rose gold here and when they are put together it creates a stunning shade. These striking shades are truly wonderful. These darker shades are natural while the highlights are quite bright. 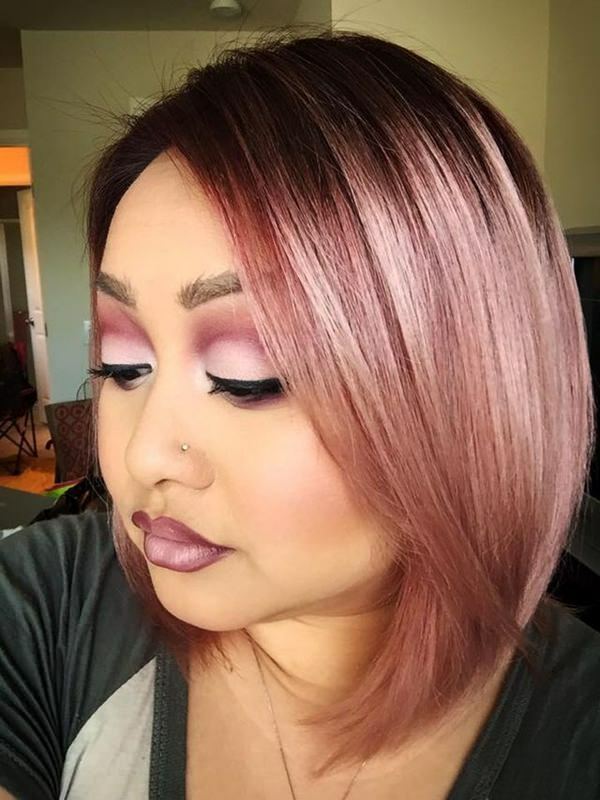 The rose gold comes in many different shades and this girl wants to use all of them. We love it. This short and curly style is truly one of a kind. 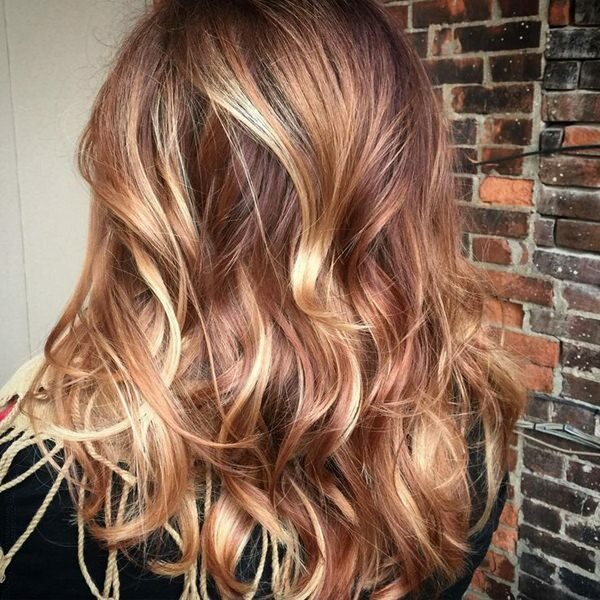 We love the light shade that is brightened up by the rose gold color. If you want to try a new look then this is the one for you. These stunning shades are amazing! If you are looking for a bold new look then you can’t get a better one than this. It’s stunning at any angle. We love all the colors and the fact that they are all different makes it even better. A great hairstyle that has a very dark natural shade. It’s a great shade that you’re not going to be able to get enough of. So many great shades here that you aren’t going to be able to ignore. It’s a great example of how dark colors can take advantage of rose gold as well.